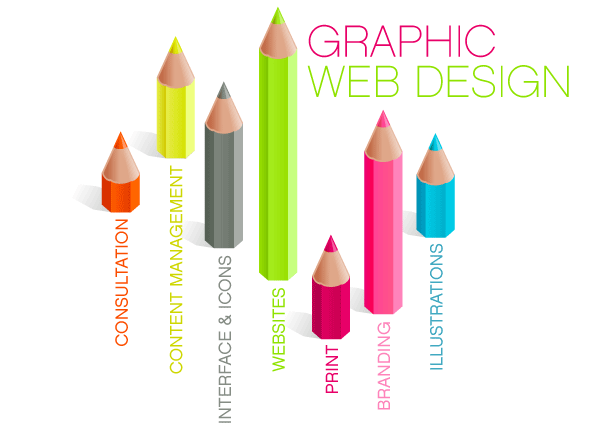 Graphic design, also known as communication design, is the art and practice of planning and projecting ideas and experiences with visual and textual content. The form of the communication can be physical or virtual, and may include images, words, or graphic forms. The experience can take place in an instant or over a long period of time. The work can happen at any scale, from the design of a single postage stamp to a national postal signage system, or from a company’s digital avatar to the sprawling and interlinked digital and physical content of an international newspaper. It can also be for any purpose, whether commercial, educational, cultural, or political. Our designs are crafted with the sole aim of creating a visual impact in a single glance. We take help of texts, symbols, designs, logos, colors, images etc to create an attractive and alluring design. Our customers have been using the designs made by us to promote their businesses, brands, products and services.We are an enterprising group of deft professionals who have rich experience of transforming a thought or an idea into exotic artistic marvels. Our proficient graphic designers with fresh, innovative and imaginative ideas employ highest level of creativity and experience in their ingenious work. Our clients give us a brief and our creative team works relentlessly to create inspired design as per their choice. As professional graphic designers and illustrators, DARTMIC has the extra creativity and expertise in graphic design to help you reach your potential through marketing! We'll deliver exciting graphics, layout and design concepts that won't Exceed your budget... just your Expectations!